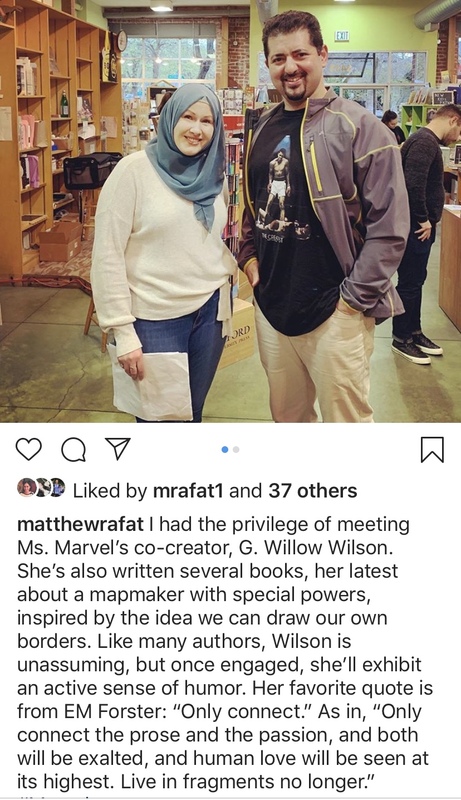 For what she's accomplished, G. Willow Wilson ought to be the most cocky, arrogant person in the room, the archetypical superhero fond of snippy remarks. Instead, she's unassuming and kind, and you'd barely notice her if she didn't happen to wear a headscarf. Even her single-colored choice--unlike most Arab Muslims, who favor multi-colored, ornate patterns--is indicative of her desire to blend in. I recently started one of her books, and I'm eager to see what's in store the rest of the way, especially after a passage as perfect as the following: "But I didn't yet have faith in faith--I didn't trust the connections I felt between mountains or memories, and if I had been a little more ambivalent, I could have allowed the Zagros [mountains] to be foreign, and the memory to be coincidence. Fortunately, I didn't." Wilson was in Oakland, California to promote her latest book, The Bird King (2019), about a royal Spanish concubine and a mapmaker able to create maps from imagination, and in doing so, conjure the actual place. Despite her nonfiction and fiction oeuvre, Wilson is more famous for her rendition of Kamala Khan as Ms. Marvel in the comic book universe. Contrasting her books with her comics, Wilson said comics are challenging because the writing must be more structured and planned so the plot-lines don't conflict with anything or anyone in the shared universe. Surprisingly, despite the level of historical detail required for a novel like The Bird King, she doesn't outline: she writes, and in the process of writing, makes numerous notes to herself in the margins, reminding her to return to a certain passage to complete an idea or not to overlook a character's unique traits. Writing about ordinary people in a historical context was difficult--what shoes did Spain's Muslims wear, did they have chimneys?--but Wilson enjoyed the research, inspired by a DNA analysis revealing a tiny bit of Iberian and North African blood in her mostly Italian ancestry. For insights into costumes during the relevant time period, Wilson used Libro de los Juegos (Book of Games) by Alfonso X of Castile, published around 1283. She enjoys going on book tours because readers see things authors themselves haven't seen or patterns that can be invisible to the author. Her agent wishes she'd write a multi-volume series like Harry Potter, but she just writes in ways that make sense to her rather than setting out to create a particular comic book universe or "world building." Wilson finished her presentation by reading aloud from the first chapter of The Bird King, which she called "one of the most personal things I've ever written," about "finding love and lost knowledge." If you're a fan of unplanned journeys and finding love and knowledge in peaks and valleys, try to see G. Willow Wilson on her current book tour. Look for the woman trying her hardest to blend into the crowd, as if she were hiding a secret--perhaps even a superhero costume underneath her clothes. Despite having a degree in English and having taken several classes on Western/British literature, I've never finished a single Brontë or Jane Austen book. I happily relied on CliffsNotes, yellow and black summary booklets that save countless American college students nationwide. 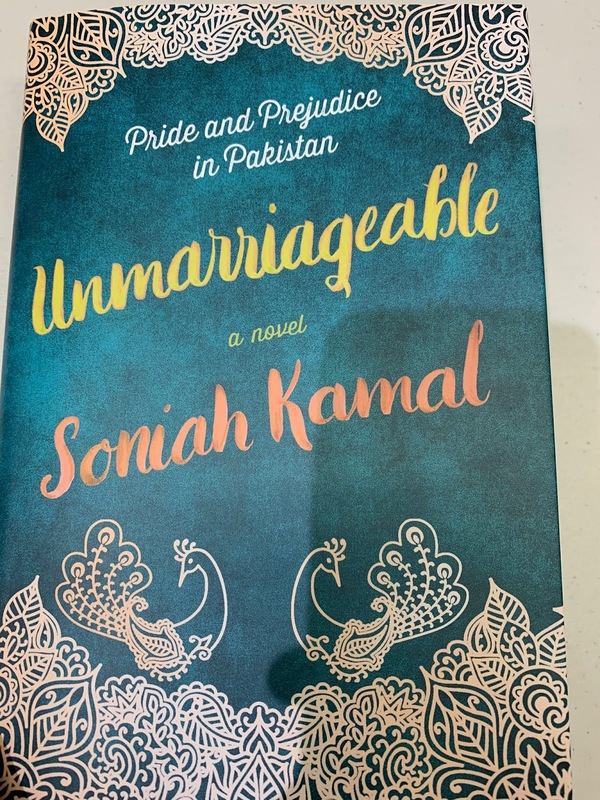 Older now, but none the wiser about British literature, I had a chance last night to ask author Soniah Kamal about Austen's pull on so many women, especially intelligent, highly educated ones from affluent families. Her response was brilliant, rendering me able to understand Austen's allure for the first time--a feat none of my college professors managed. Kamal began by explaining Austen isn't about romance, but about social satire. More specifically, Austen used her pen to mock everyone, especially the upper classes. It's important to remember Austen grew up in a time when options were limited because of her gender. "Keeping up appearances" was vital for women to gain comfortable lives through their most straightforward avenue: marriage, a one-shot deal due to divorce being rare or available only in ways making wives destitute. These themes of social inclusion and social mobility based on superficial traits mean every time someone buys a Louis Vuitton wallet or a Birkin bag, s/he's bringing Austen to life. When we watch Carrie Bradshaw buying a pair of imported Manolos, Austen is lurking in the background, waiting to pounce. Considering that most first marriages, even today, occur at a very young age and are therefore dependent in large part on familial support and reputation, Austen's work seems less outdated. Indeed, it's more accurate to say her muse midwifes itself from rebellion against social repression and constraints rather than Victorian-era sexual mores. 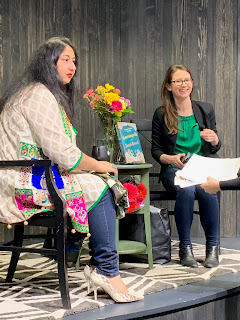 Given the universality of youthful rebellion in the context of strict parents, Kamal joked that Austen didn't realize she was Pakistani, Bangladeshi, and perhaps even Italian. Let's talk about Soniah Kamal. My first impression was a woman once constrained by social norms, now ready to let loose--but in a manner befitting her social stature. Kamal, born in Pakistan and raised in London and Saudi Arabia, where she attended an international school, won't be seen anywhere near a dive bar, but her alligator skin shoes and colorful dress and scarf tell you she wants to be seen. And yet, I never once saw a prurient quality in her. Observing a photo after taking one with a fan, she decided it didn't meet her standards and told the photographer to "stand up" and try again. The photographer obliged. 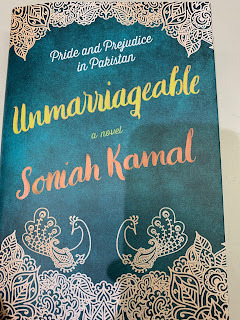 Incredibly, Kamal wrote her latest book, Unmarriageable (2019), a fusion of Pakistani culture and Jane Austen, in two months. She advises aspiring writers, often told to picture their audience, that "There is no audience. You are your audience--write what interests you." Fans of Austen are familiar with a surfeit of emotion hidden under prim surfaces, and Kamal sheds tears easily. Waterworks occurred when she discussed a reader's poignant note; the unexpected revelation some people were using her book as a gateway to Jane Austen, her original inspiration; and and two other instances. Despite my newfound respect for Austen's desire to give her characters more agency on the page than they had in real life, I won't be reading her books. 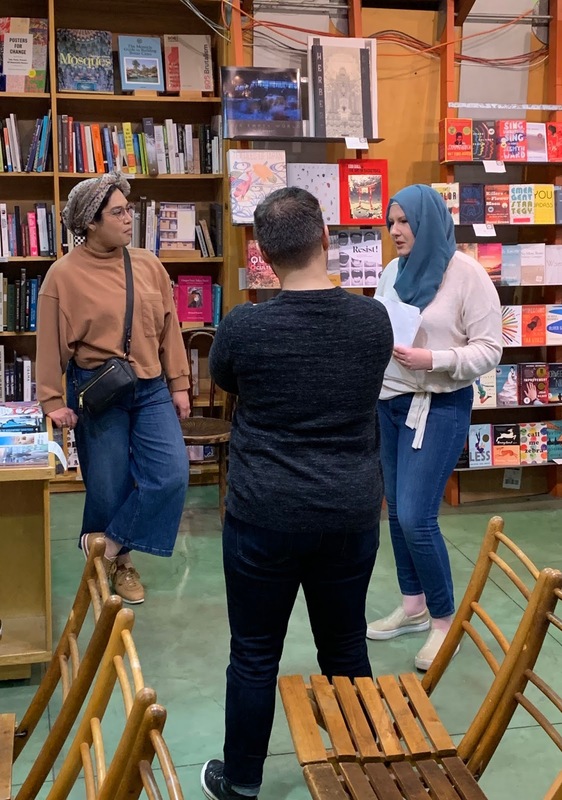 There are too many interesting female writers today, including G. Willow Wilson (The Butterfly Mosque), Chimamanda Ngozi Adichie, Michelle de Kretser (The Life to Come), Zadie Smith and, yes, Soniah Kamal. Whenever I return from a long overseas trip, I try to share my thoughts about re-integration. My most recent trip around the world took about ten months, and I've been in the States about 10 days so far. 1. 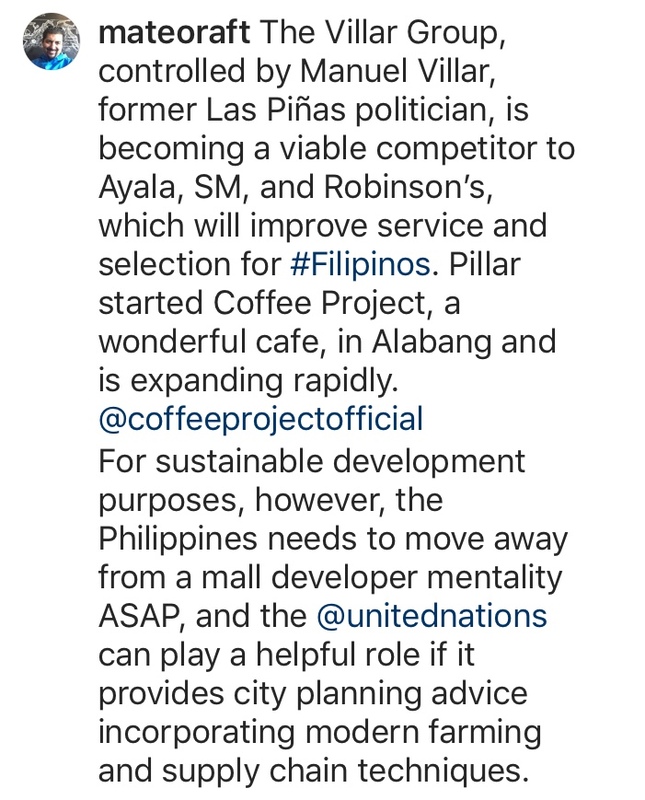 When I was in SE Asia, especially the Philippines, I complained economic development revolved around shopping malls. Well, investors repeat what worked in the past, regardless of geography, and in the one week I've been in California, my life has revolved around shopping malls. Sigh. 2. Retail differentiation is becoming nonexistent, causing more consumers to buy online--and countries more willing to demand tariffs against foreign competition. I went on a shopping spree yesterday, buying a new pair of shoes, two jackets, and a pair of casual pants. I didn't need any of them, but at 50% to 70% off at the local outlet mall, the entire experience set me back less than 100 USD. In the process of shopping, I realized every single clothing retailer had copied everyone else. Eddie Bauer, like Nike, makes DriFit shirts. Columbia's jackets, like Eddie Bauer's, have a side zipper pocket in the same breast area. For me, the main reason to choose one item over another came down to sizing, especially around the shoulders. Even in one store, a double XL would fit differently--Puma and North Face products seem to be the most inconsistent--and I continue to buy clothing and shoes made in Vietnam, Bangladesh, Jordan, or Indonesia whenever possible. Oddly enough, consumers don't seem to realize manufacturing location matters a great deal. After I wrote this post, I saw a unique retail item at Portland, OR-based KEEN. It's a private company w/ 200m-300m in annual sales. 3. I had purchased many items online while traveling and was expecting outsized temporary happiness when I returned to my pile of self-bought gifts. Unfortunately, the pile of mail waiting me caught my attention first, and I haven't had a chance to get to all the items I bought in an attempt to self-compensate for missing X-Mas, my birthday, etc. Interestingly, I've already begun using the items I bought yesterday, indicating the mall experience could compete with online retailers if unique products are offered at competitive prices. 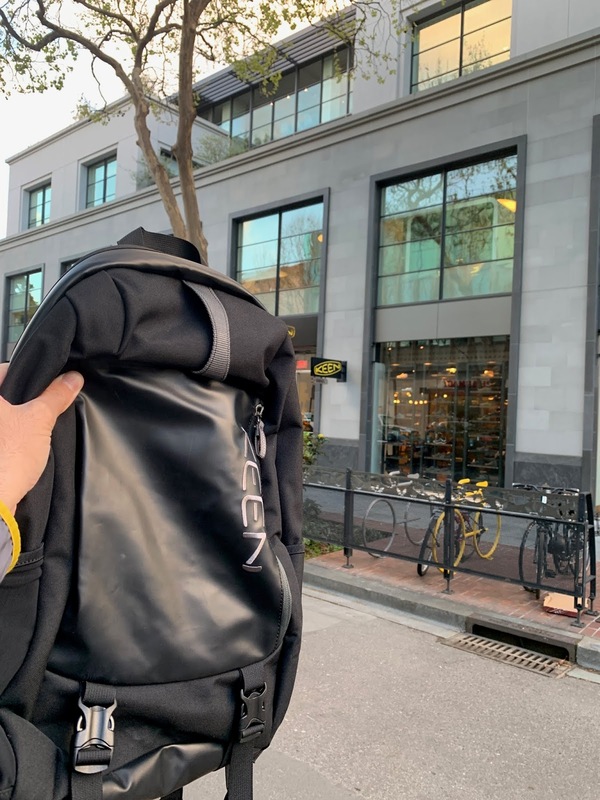 The psychological allure of instant gratification isn't going away anytime soon, so once physical retailers become more lean, an equilibrium will be reached between the virtual and the physical--assuming brick and mortar stores prioritize customer service. 4. America's most noticeable advantages over other countries are its environment and convenience. Pollution is much lower than most other countries. (Even highly developed Singapore has issues due to its proximity to Indonesia's active volcanoes.) As long as an American is in a major city, drinking tap water won't be risky. Traffic may be busy during peak hours, but for the most part, the flow is remarkably smooth. I can't tell you how lovely it is to know I can walk anywhere for as many weeks as I want without developing a cough--even though walking in most major American cities is uncommon because city planners and car lobbies (think: sales taxes) prioritize cars. As for convenience, Americans have too many options, and they're all easy to reach. In Guanajuato city, Mexico, a mountainous area, I had to walk up and down one block at a 70 degree angle just to get groceries--and that doesn't include the two flights of stairs installed to make it easier for locals to reach the main street. I actually enjoyed the experience, but I'd often return to my Airbnb only to realize some of the products I had bought had expired, especially the yoghurt. The rougher terrain makes it harder for regular deliveries and also for store/tienda owners to make a profit. Additionally, the lack of zoning or self-imposed owner restrictions sometimes meant two small grocery stores on the same small street often sold the same products. Lest you think competition would be more cutthroat, both employees would happily refer me to the other store if they didn't have a product (my favorite brand of milk is Groupo Lala, but another brand, Alpura, seems to do a better job in some neighborhoods). Incentives for honest service increase when the same employee sees the same customers regularly. 5. 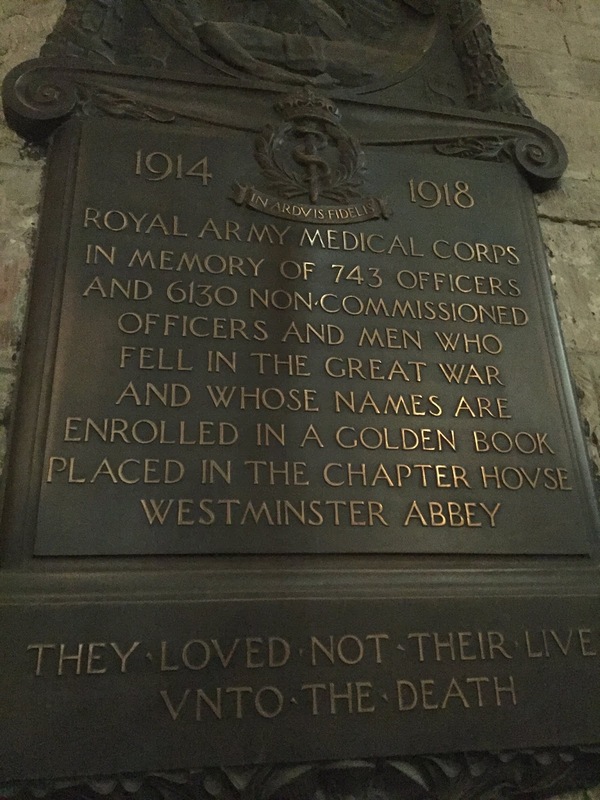 History is easier to absorb in other countries because it's all around you. Most people realize that after WWII, the American government was able to impose its policies and processes in other countries, most notably Japan and Germany; however, even before then, borders were ill-defined and countries, especially in Europe, were seeking to expand. Such expansion efforts often caused more powerful countries to run roughshod over smaller ones, in ways Americans and Europeans never learn. Seeing cannons in Cuba near the water helps one realize the importance of naval power--at least until the invention of fighter jets. Seeing forts in Lisbon and Scotland leads to an appreciation of military strategies and the reasons behind extended conflicts, especially if retreating to Northern Africa to regroup was possible. Touring the former Ford Factory in Singapore teaches us civilians are always targeted in invasions and wars, regardless of the countries or groups involved. And so it goes. In Singapore. 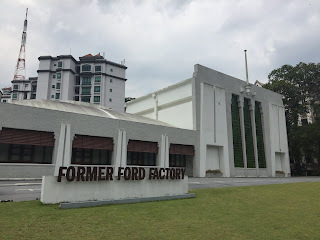 Now a museum. 6. I have to cut this short because I have a job interview in 20 minutes... in a shopping mall. 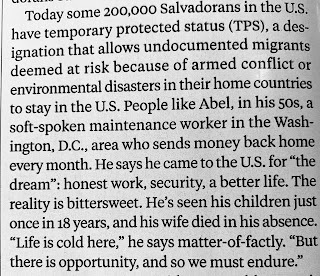 Bonus I: an apt summary of America, from an El Salvadorean immigrant: "Life is cold here, but there is opportunity, and so we must endure." At least there's free WiFi. 1. Your driver's license. In California, we're supposed to receive notice of automatic renewal (if eligible) two months before the expiration date, but it may be easier to study the written test and take it earlier. 2. Your passport renewal date. 3. Your insurance policies. You can typically renew online. 4. Your credit and debit cards. If you order new cards, be sure to update all the apps and services (Uber, iCloud, etc.) using the old/expired cards. 5. Your tax filing date(s). You can file for an extension but I always try to finish before the official deadline. 6. If you have investments, it's a good time to check all your accounts. 7. Do you have any professional licenses? If so, check to see if you've caught up on all the requirements, including continuing education (CLE, fingerprinting, etc.). It took exactly 3 weeks before I felt like I'd caught up on everything, so give yourself as much time as possible before starting a new job. I attended a Silicon Valley panel discussion on robotics this evening, and I thought I'd share a summary of the experience in case others were interested. 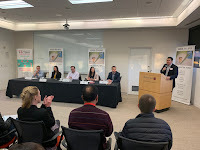 Rob Lau of "Idea to IPO" (idea-to-ipo.com) opened the seminar by introducing several of the group's members, including Albert Qian of Albert's List. One entrepreneur, Ali, discussed autonomous tutors available 24/7 capable of answering questions immediately. Another member talked about a geolocation service without satellite communication called No GPS. Rob provided a quick mission statement. He acknowledged many entrepreneurs are struggling financially, so he ensures his events are affordable to all. His aim is value for our time, which he called our most valuable asset. His group's global mission is to democratize entrepreneurship, and he referred the audience to his YouTube channel. 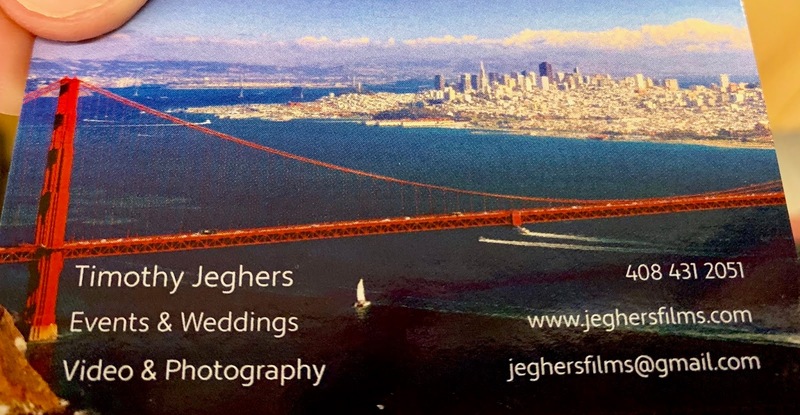 I was impressed with Tim Jeghers, the event's videographer. He seemed diligent without being obtrusive. 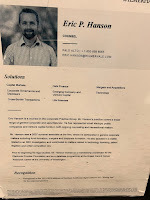 Eric Hanson of the nationally-recognized WilmerHale law firm moderated, and he did an excellent job, following up when answers were not clear. 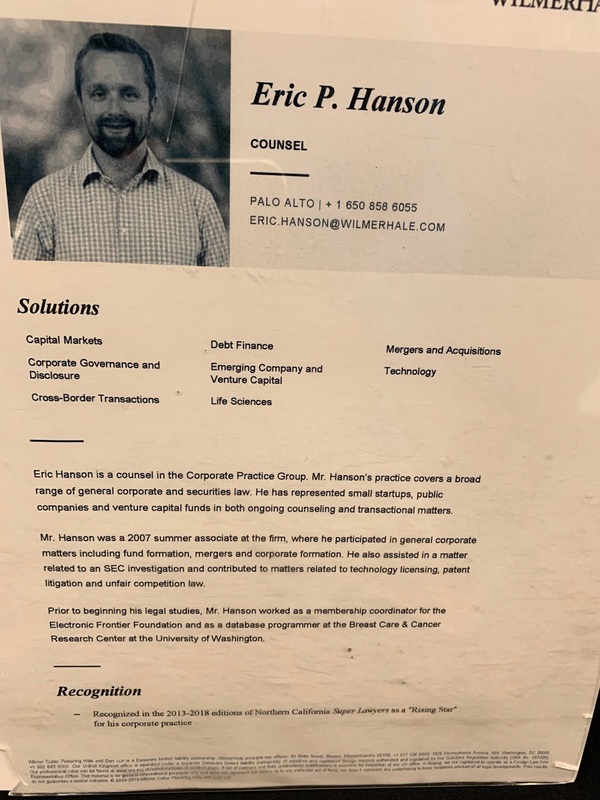 I've been a huge fan of WilmerHale ever since Attorney Seth Waxman's oral arguments before the Supreme Court, and I was pleased to be able to visit one of the law firm's offices, even though Mr. Waxman works out of D.C., not Palo Alto. 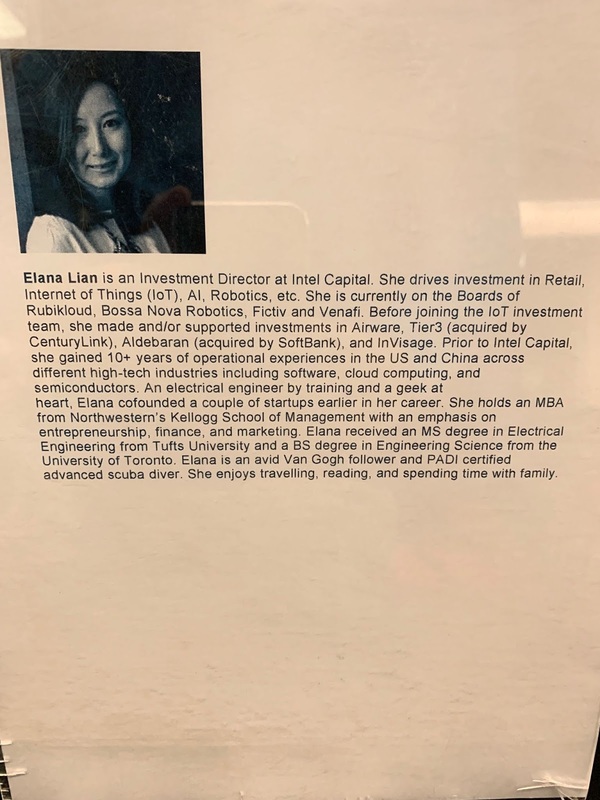 All the panelists were interesting, but I enjoyed Elana Lian's comments the most. Below is a heavily paraphrased summary of each speaker's comments, which attempts to capture the gist of their opinions. 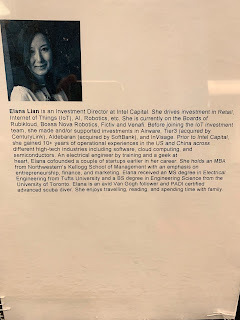 Elana Lian: I’m with Intel Capital, and I focus on AI and robotics. Opportunity is everywhere. We focus on the B-to-B side. We bring computer vision and the AI to the processing unit, a complex undertaking due to factors like data analysis and different operating systems. One example [of this fusion] is the company Bossa Nova, which makes a robot that scans shelves and QR codes in the retail industry. That involves scanning (robot vision), movement/navigation, and processing. I agree in the long term, other jobs will replace the ones eliminated by technology, but in the meantime, people recognize short-term challenges, including in media such as Black Mirror. One of the most critical things is to talk to the end user. 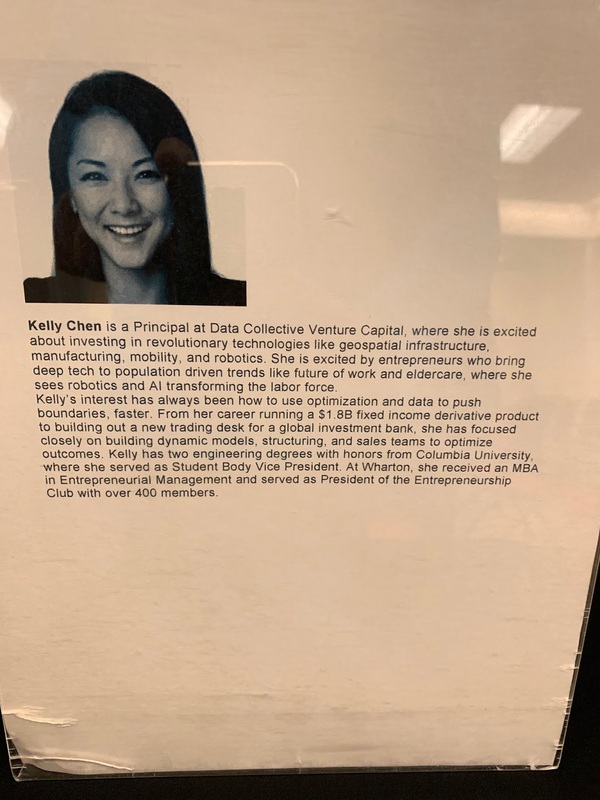 Kelly Chen: I’ve always been interested in the quantitative side. 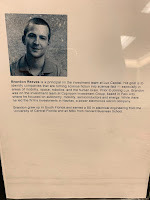 I have an engineering background as well as an MBA. We think about logistics--everything from shipping to packing. I’m optimistic about this space, because due to software and reinforcement learning, we can do things in weeks today that took one full year in 2012. 'Reinforcement learning" is how the robot learns, i.e., the robot uses probabilistic models similar to the human brain rather than machine learning, which doesn’t allow the robot to perform tasks it hasn’t seen before. We are also involved in autonomous long-haul trucking. 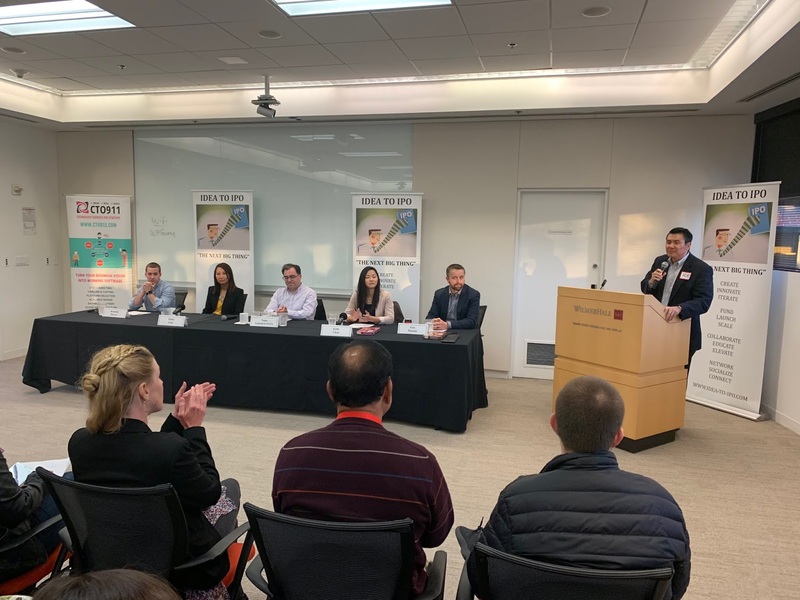 We’re excited about what this technology can do for the labor market, because few people want to do long-haul trucking, such as deliveries from the East coast to the West coast. With new technology, however, drivers can stay closer to home, see their families more often, and focus on handling "last mile" issues. We invest on the enterprise side, and enterprises make decisions based on concrete factors. When selling to consumers, it’s more emotional, more based on sentiment. From an investment approach, we tend to be cautious. If you have a demo that works in the lab, it doesn’t mean it will work in the wild. I think GDPR and data privacy are important, but a security failure in an autonomous vehicle is much more dangerous than a data breach. 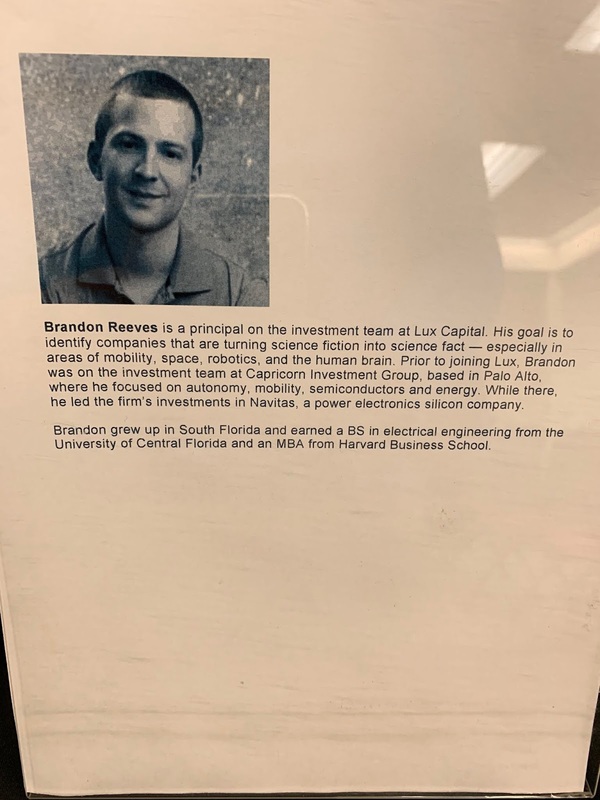 Brandon Reeves: I’m an early stage investor. How do you reinvent a new cycle in an established business? In the short term, there will be job displacement because of technology, but if the Industrial Revolution is any indication, more jobs will be created in the long-term (10, 20, and 50 years from now). I’m very against co-working spaces at the early stages [of a company or idea]. Re: job displacement, I don’t believe in UBI—I tend to focus on opportunity and retraining. 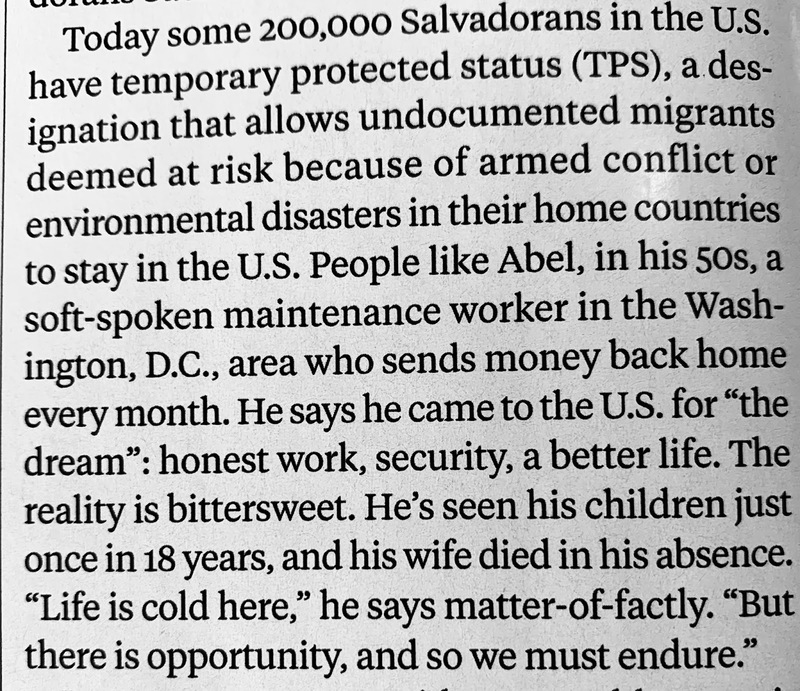 I also think UBI is against immigrants, because it makes it harder from a policy perspective to increase immigration. I believe immigration has been responsible for America's success, and I don't want to support a policy that will reduce it. The way to increase wages is through productivity growth, and you get productivity growth through technology. 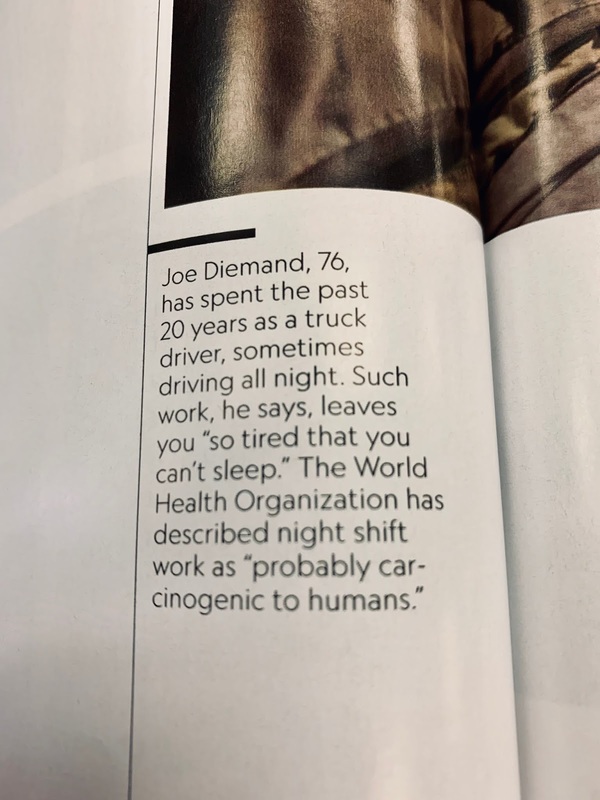 I do worry some jobs will eventually experience so much productivity growth, they’ll no longer need human beings, but I’m not sure we can predict the exact timeline. 20% of America's GDP is healthcare or healthcare-related. Re: a robot tax to mitigate job losses, in general, you don’t want to levy a tax that hurts innovation in the short term, but the long term is different. 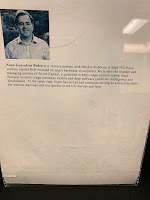 Nuno Goncalves Pedro: I’m a VC investing in next generation applications focused on the consumer. Our time horizon is five to ten years, preferably five to seven years. We don’t believe in the idea that robots need to be anthropomorphic. A doorbell or an ATM is also a small robot, but for some reason, people will trust a human-looking robot more than a doorbell or an ATM. Why don’t we have ATMs that look like human beings dispensing money? It’s different selling to consumers than to businesses, but the patterns in usage between businesses and individuals are becoming similar. We’re in the midst of a big shift. There’s an entrenched supply chain that makes it hard for newcomers to break through, but even these entrenched systems are missing pieces. At the same time, if I’m GM or another OEM, why not own my software? Why rely on third parties just because that’s the way the supply chain is set up? There’s a war for the home going on right now. Amazon, Google, Apple are all vying for the home. Facebook tried and failed. From an ethics perspective, unfortunately, I do think ethics is in the hands of engineers, and engineers aren’t meant to be thinking about ethics. They’re meant to think about algos and functions. Meanwhile, most CEOs do not know what their engineers are doing, so there’s a gap between technical implementations and business leadership. I've noticed most independent or mid-sized coffeeshops, even chains, are mixing beans from all over the world. A cup of coffee from all but the major retail outlets will most likely contain beans from several different regions. 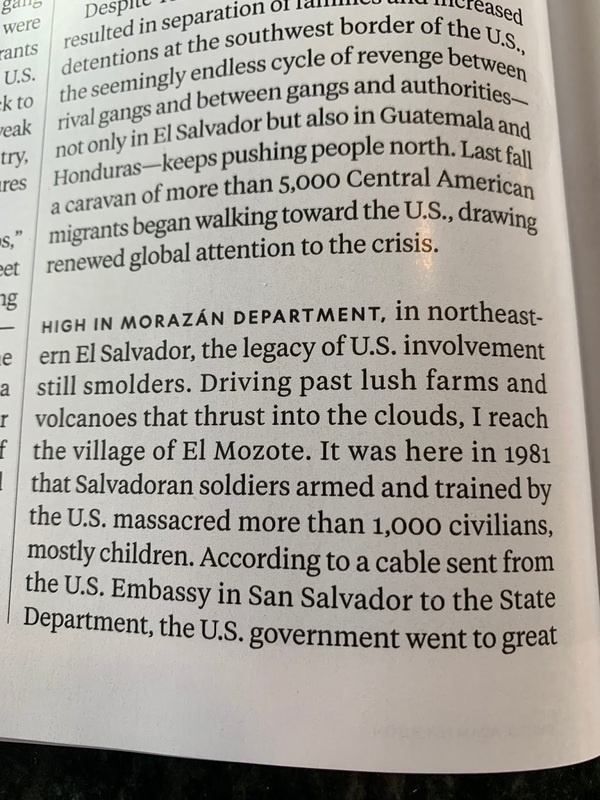 This seems odd, because supply chains have improved dramatically over the last thirty years. Then I realized supply chains--epitomized by Amazon, which progressed from simple books to multibillion-dollar sales of everything--aren't the problem. Buyers no longer trust political (tariffs) or weather conditions to provide them with consistent supply year-round over long periods of time. 2. First mover advantage is longer lasting when buttressed by legal and financial markets. Developed economies have not yet figured out how to balance entrepreneurship with "lawfare," the practice of using legal systems to stymie or stall competitors, especially smaller ones. 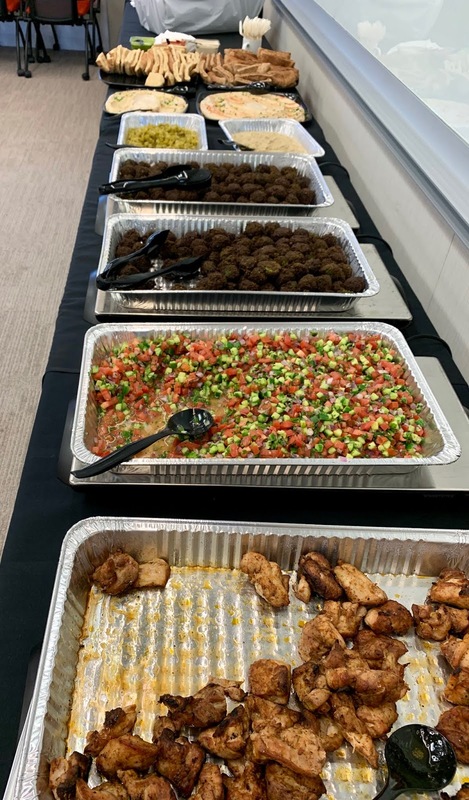 A disproportionate number of small or individually owned businesses in developing economies are food or drink-related, which makes you wonder whether legal and financial systems are truly effective anywhere. In Saigon, Vietnam, many houses are two-stories, and the bottom floor serves as a mini-restaurant in the evening. Either permits aren't required for such businesses, or enforcement must be lax. In short, despite Hernando de Soto's considerable scholarship on this issue, legal and financial systems continue to disfavor small businesses. 3. America's physical infrastructure is nonexistent compared to similarly developed countries, and Canada's and Mexico's aren't much better. America's post-WWII afterglow--and its status as the world's sole leader not once, but twice from 1945 to 1991--led to public safety budgeting being prioritized. This first mover advantage created a political establishment that remains firmly in control to this day--even though the advantages of a world led by a single superpower no longer apply with competition from an ascendant China, an ambitious Africa, a rising ASEAN, and a resurgent Russia. Indeed, the more one studies America's economy and compares it to other countries, the more one sees a country on an inexorably fascist path, where an ever-increasing police state requires greater private expansion, especially overseas, and in conjunction with the banking sector, both domestic and international, in order to maintain funding--and stability. Stability and trade are linked. One cannot travel without seeing American products, usually never discounted abroad due to their premium image. In some cases, such as my favorite travel brand Columbia Sportswear, the retail premium is justified. 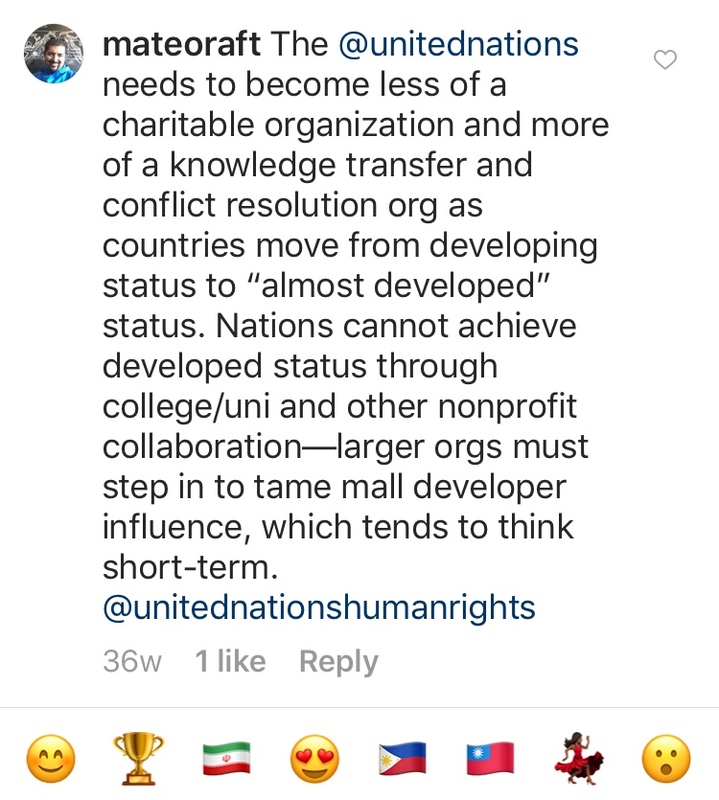 In most cases, however, what you wear, eat, and buy is dictated by a complex set of trade (and, by default, pricing/tariff) agreements entered into post-1945, with the expectation of international organizations such as the IMF and World Bank providing loans to developing countries in exchange for favorable corporate treatment. After 1995, the creation of the WTO and its rules added layers of legal complexity on top of existing financial complexity (currency fluctuations, shipping insurance, etc. ), making global trade highly dependent on multinational banks and politically-connected law firms. With such complexity, one quickly sees why media and advertising--as well as selective censorship--are so integral to the U.S. and other developed economies. How does a company differentiate itself from competitors without a compelling story, preferably presented through compelling individuals? And how does one resist the temptation to resort to made-up stories when real life does not always follow a clean script? 4. America's marketing machine allows more opportunities to feel special and to participate than most other nations. For example, I'm a freestyle and Olympic wrestling fan. There will almost always be some event somewhere in America I can attend, whether D1/D2/D3 college championships, world events, etc. America's ability to put on a show is closely linked to its ability to market its brands at a premium and to control which brands see the most eyeballs, both in the physical and digital realm. Such control is crucial to generating an adequate ROI on federal government outlays. Yet, in terms of products I specifically "buy American" when overseas, only two come to mind: Columbia Sportswear and Gillette razors. Most products are fungible, making consumer-led economies--and their debt loads--precarious if "free trade" actually existed. 5. Overlapping jurisdictions in most Western countries no longer work the way they were intended; indeed, they create unnecessary complexity while failing to promote checks and balances. Smaller countries like Singapore and perhaps even Nordic countries have advantages over larger countries due to the ability to avoid negotiation with multiple non-governmental entrenched interests. Better and more comprehensive public transportation is one obvious result. 6. Voters want all the benefits of immigration but none of its downsides. Such magic is impossible. You do not get a Nâdiya or Zidane without some "nonperforming assets." No banking or hedge fund manager--with the best analytical tools available--can claim 100% or even 80% success; yet, we expect immigration agencies to outperform the "masters of the universe." The key, as with most endeavors, is whether the costs outweigh the benefits. Obviously, if slavery or colonialism is responsible for a positive outcome, the cost is too high once we take a long-term view. At the same time, such philosophical analyses are irrelevant for practical purposes because modern immigration and many other migration shifts are different in nature and require different modes of thinking. In reality, nations dislike competition and are having difficulty developing both financial and human investments; along the way, somehow, institutional failures have been superimposed on individuals. In the end, the principle remains the same, with an addendum: "Am I my brother's keeper?" If not, how much effort and investment is required to reach a sustainable and proper paradigm? 7. Having seen many paintings funded by the Catholic Church, it seems much religious language (harlots, affairs, sexual miracles, modesty, etc.) and subsequent imagery try to create an environment where human nature is balanced with a code of conduct. We call these attempts to create a sustainable civilization "the law," though in the past, the terms "morality" and "religion" were more popular. One reason the 20th and 21st centuries are so problematic is because the written law has become as ambiguous and unpredictable as abstract morality. Natasha Trethewey: Well, paintings, just like poems, have a lot to do with the historical moment in which they’re made. They reveal the material culture of a moment. They’re not only giving us a vision of some historical event, but also historicizing it within the moment of the work’s making. 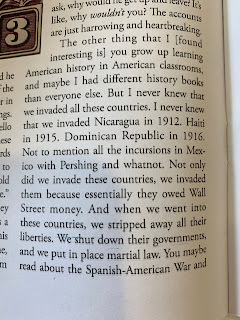 And so I’m drawn to them because I write a lot about history. I’m also just very visual myself. In America, one can blame almost everyone for this result. Law schools, which charge excessive tuition, limiting both their applicant pools as well as their graduates' futures. Lawyers, who have been unable to accomplish anything transformative since September 11, 2001. Judges, most of whom do not read the papers submitted to them (they rely on law clerks), and who are often out of their depth due to limited or specialized experience in former careers. What to do? 8. Governments have not realized the marketing teams required to boost their popularity and capture citizens' attention are becoming their downfall. A simplistic example would be governments advertising anti-diabetes and anti-sugar messages. Citizens and voters are not stupid. They know their governments could have spent marketing money renting a space with a gym available to the public, but marketing is a one-time cost/bill, whereas running a public space is an ongoing, unpredictable concern. Even so, in smaller or more rural Filipino cities, where it may be less common to own a television, basketball courts are built and named by aspiring or elected politicians. Despite the potential for graft, it is precisely these ongoing community projects that create a civilization worthy of admiration. 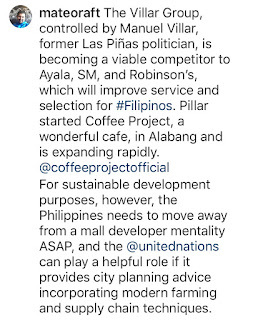 Unfortunately, in developed countries, these same projects cannot deliver votes and political messages to a broad enough audience at election time compared to media's outreach. As such, marketing triumphs over common sense in most modern democratic countries, distorting elections and communities. When thinking of democratic systems in an increasingly digital world, I'm reminded of the adage that self-inflicted wounds often cause more damage than direct hits. 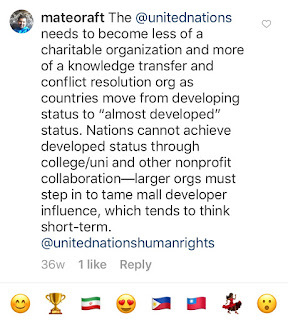 Foreign governments and billionaires have already realized a strategy of promoting, then focusing on the most divisive or unrealistic voices (Glenn Beck, Ben Shapiro, Ocasio-Cortez, etc.) through advertising dollars (e.g., Cambridge Analytica) can be more effective than buying a next-generation fighter jet. 9. It has always been the best of times and the worst of times. Economic development has occurred through capital deployment and exploitation of natural resources, whether foreign and domestic, both avenues being unequally distributed. For example, many developing countries rely on massive, upscale shopping malls to burnish their image but do not seem to care about slums three blocks away. In Jakarta, Indonesia, Grand Indonesia and another mega-mall are right next to each other, making traffic unbearable. I walked a short distance away from the malls and realized both houses and casual restaurants for locals--the ones who can't afford to shop at the malls--were right outside, making me re-evaluate my ideas on zoning, eminent domain, and development. 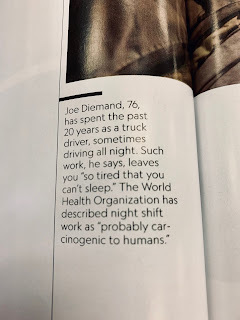 Modern developed societies feel unhinged despite lacking such blatant incongruence because they cannot provide predictable outcomes even for residents willing to invest time and money in mainstream systems (higher education, a taxi medallion, etc.). In contrast, the life of a slum dweller a few blocks away from "progress" in the form of a new mall doesn't change much--his motorcycle can still weave through cars, and he may even have more opportunities for income in the informal market. In the olden days, your life revolved around your family and your local religious institution, which was the de facto community hub. Starbucks or another "third place" for networking did not exist. A man cast out from his church had no other place to go. Additionally, because many Western countries have been at war for much of modern existence, local economies from Quebec City (gun manufacturing) to Brisbane, Australia revolved around military expenditures, not unlike several American cities today. The bridges you see in other cities might have been built to accommodate transport of munitions, not passenger convenience. Much of social miasma today concerns a movement away from military-fueled economic expansion and religion as the community's binding agent. If we are stumbling, it is because we've yet to find anything large and stable enough to replace either pillar, despite the knowledge that both are becoming more fragile with each passing day.